Welcome, we hope our website will help you to understand how Focal Point can work with you to create an advertising campaign you will be proud of. Focal Point Advertising, established in 1987, has a proven 30 year track record and we firmly believe we have the team and knowledge to provide you with a positive experience you will not forget. 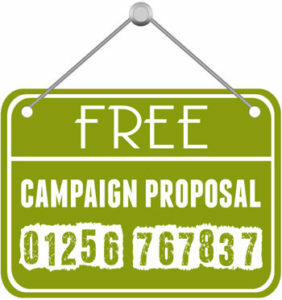 Whether you need us to work with you on a one-off campaign, or you want to select just one of our services, or to become one of our long term happy customers, we look forward to working with you. 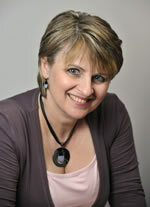 Jane Legg – I have worked at Focal Point since 1993, but I have known Richard and Denise socially for over 30 years! I am married with two children, and a grand daughter. I work part-time in the office, undertaking the general administration duties of a P.A. along with helping the bookkeeper. I have seen many changes in the office, from the humble beginnings to today’s Focal Point, what a great change we have seen! Regarding hobbies – Spend as many dry, sunny days as possible on our motorbikes and still enjoy weekend breaks away in Europe and holidays much further afield. 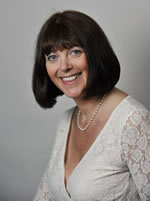 Denise Knight - I joined Focal Point in July 2007. 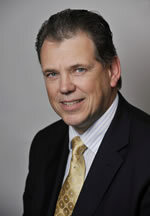 I am married to the MD Richard Knight. I joined Focal Point as an ‘extra pair of hands’ to the Office Manager. Previously I worked in a Primary School as a Teaching Assistant so I had to go on a big learning curve as I had not worked in an office for quite a number of years. 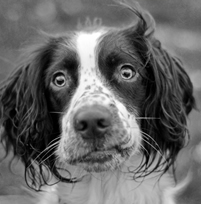 I have two daughters Lauren and Gemma and we have a family pet called “Ozzie” an English Springer Spaniel – he keeps us on our toes! As far as hobbies are concerned I like listening to various kinds of music but my one big passion in life is dancing. I trained professionally in my late teens early twenties and up until 2009 I used my knowledge of dance by teaching children and young people aged eight to seventeen. Sarah Rowe - Client Account Director with responsibility for the running of the office, planning and delivering first class campaigns for clients across all media channels, monitor and report across all elements of the campaign, working on repeat sales guiding & nurturing clients, financial/accounting aspects, managing all office administration, managing & teaching staff, Business Marketing to assisting the MD. Sarah joined Focal Point in 2005 to assist the then Office Manager and the Bookkeeper. She was appointed the role of the Office Manager in 2006, and then promoted to the role of the Client Account Director in 2012. 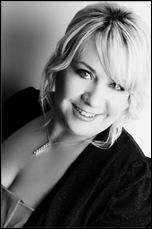 With over 11 years’ experience in ‘Out of Home’ advertising, Sarah has acquired an in depth knowledge of the industry. This allows her to build strong business client relationships by providing keen insights into best maximising the effectiveness of a client’s marketing campaign. Prior to joining Focal Point, Sarah has worked in various account and office based roles from diverse sectors such as; publishing, the funeral industry, and tile distribution. Richard Knight - Richard has been married to Denise since 1981, and they get on so well together she now works in the business. She may tell you otherwise. They have 2 daughters – Lauren who is 27 and Gemma 24. Denise and Richard have lived in the Bracknell area since they were married. Socially Richard is a lifelong Chelsea fan and also recently over the last 3 seasons been a season ticket holder at Harlequins Rugby. Together with Denise they have a 8 year old springer spaniel named OZZIE after the late great Peter Osgood. Ozzie Knight - despite my age I am easily the most alert member of the Focal Point team. I am quite easy to please, so long as I get fed, watered and walked, I am more than happy to play with the rest of the team to help keep them relaxed and free from stress – and it appears to work ok.
My hobbies are playing with my toys – when I am not sleeping, and most weekends I play over the park chasing birds – of the feathered variety – and playing with my Frisbee. That’s when I am not sniffing all the wonderful smells in the park. Currently I only work one or two days a week, but this seems to fit into my schedule pretty well. If you want to make sure I am in should you pay a visit to the Focal Point office, it might be an idea to check what days I will be there. I do find most of the visitors that come in pretty friendly and am sure they will find me friendly too. What Goals Have You Set For 2019? Ollie the Outdoor Helper (OOH) Has Come to Help! Sometimes Business is About Winning Brownie Points and Not Making Money! Please Note: * Calls to this 0872 number will cost 13ppm plus your phone company’s Access Charge. Calls from mobiles may be considerably more.